Based outside of London, Hawkins Global Education can assist your institution with recruitment needs in the UK. UK boarding schools are home to thousands of international students from around the world with globally-minded families, making this sector ripe for international universities looking to diversify their student populations. As a former boarding school teacher and now working with students at schools across the UK, David Hawkins is deeply embedded in this sector. 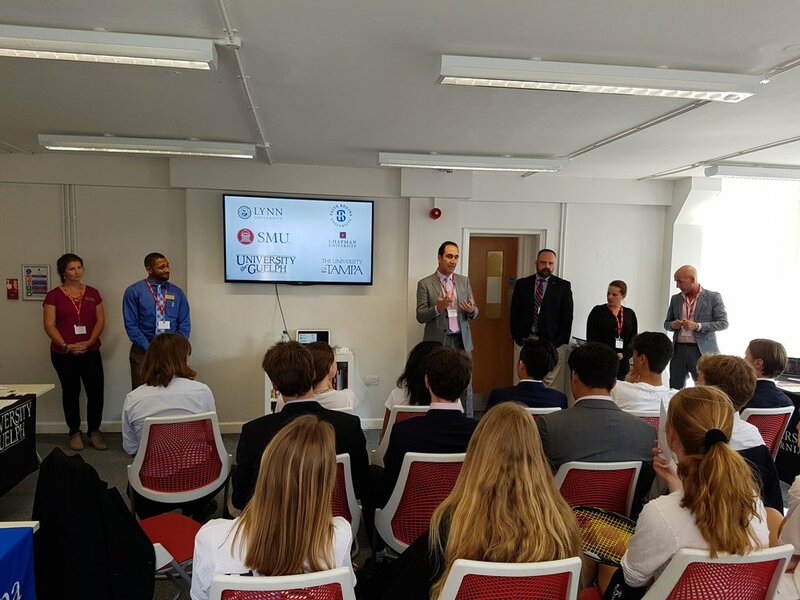 Hawkins Global Education runs a number of small-group recruitment tours to UK boarding schools each year: two in the fall / autumn and two in the summer, as well as more targeted events to particular locations or for university consortia. We can also provide bespoke itineraries targeting particular regions or schools based on your institution’s needs and profile. I have participated in UK tours organized by David and every time the organization was exceptional. David is an outstanding professional who has a great network of contacts and reputation, which allow him to be the valuable link between high schools and universities. Thanks to him we have the opportunity to open the door to the European education for UK students. David Hawkins provides unique, affordable, and fun tours in a small group setting. He has strong relationships with counselors all over Europe, but particularly in England. His tours put you in front of students who do not have a lot of exposure to US universities. This untapped market is worth exploring and David is best positioned to explore this market. The tours offered by Hawkins Global Education are a perfect fit with the type of institution Bishop’s is: intimate, targeted, and boutique. David builds his tours based on the profiles of the institutions and provides the opportunity for them to get to build relationships with counsellors, students and their families directly. These tours have worked well for us and the follow up David provides with students and counsellors is second to none. I have been lucky to have been part of several of David’s tours in the UK. Not only are his tours tailor made to fit the respective group he travels with, but you also benefit from his knowledge about the education system and his incredible network. For someone who is new to the UK market this is the best way to explore the country and have fun with it too. I’m a big fan of David’s tours. I appreciate his ability to put together a strong itinerary that puts our representatives in front of qualified students and influential counselors. He has a deep understanding of the relationship between students, counselors and university representatives, which results in a high level of engagement for all participants on the tour. Hawkins Global Education tours are unique, affordable, and offer exposure to untapped markets. Even when the tour is over, David continues educating students on global university options and creating exposure for your institution. As a bonus he provides delicious snacks and killer playlists – it is a true boutique tour! UT has participated in several of David’s tours and must admit that his knowledge of schools, logistics and counselor contacts in the UK has been a professional life-saver. I have received more student contacts and shared more professional insight about my institution with headmasters and counselors in the past two tours than I have ever garnered from any other extensive travel in the region.